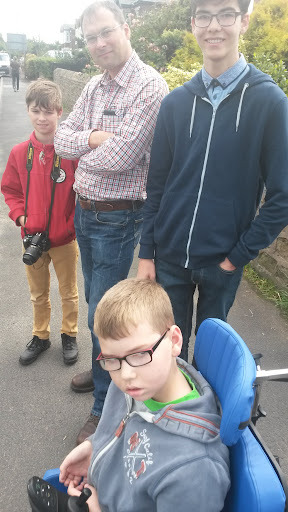 On the last day of the school holidays the Tour of Britain cycle race came through the Ribble Valley so we went to watch it come through Longridge. Considering it was a Monday lunchtime there was plenty of people watching. My sister was back at school so we had Ed with us too. There was plenty of motorbikes before the cyclists came through and then we got our first glimpse of the lead cyclists. Two riders had broken away and had a 2 minute lead on the peloton. 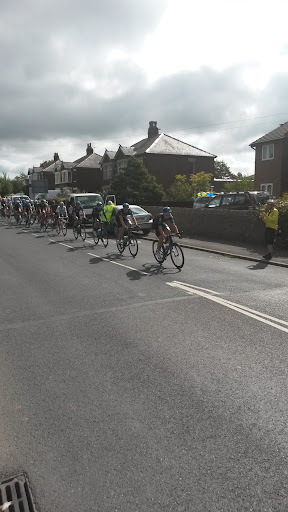 The remaining riders were all together and flew round the corner very quickly! After the bikes came the many support cars with spare bikes on the roof. We didn't spot Bradley Wiggins but we did see his car.